During the fall season, I get very jealous of the beautiful weather happening up north. Florida's fall weather consists of cooler temps (70's), some rainy days depending on the fronts moving through, and the official ending of Hurricane season (yes, we Floridians celebrate the end of Hurricane season - especially the "dry" years). The major photographic bonus of fall are some amazing sunrises and sunsets. As a result, I fill my home with red/orange/yellow hued fall decorations to help get myself in the spirit of the season and I also make the time to go to Disney to see their wonderful fall and Halloween decorations. When I see their decorations up, then I know fall has arrived! 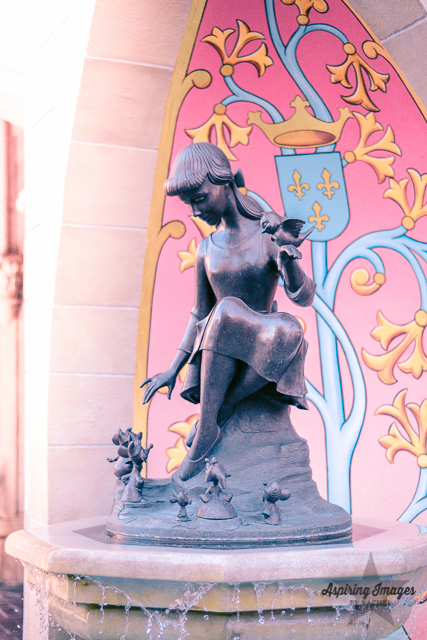 Magic Kingdom always adds the sparkle with multiple decorations, especially up and down Main Street. 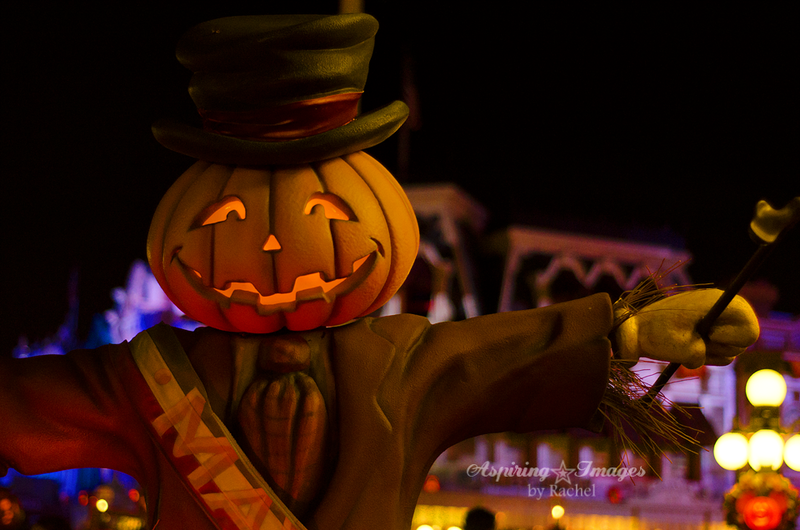 Mickey pumpkins are in every corner, fall leaves abound, and it definitely gets you in the spirit. When these decorations go up, it's not only seasonal but it indicates Mickey's Not So Scary Halloween Party has arrived! This is a specialty party requiring a separate admission ticket and I love going because it means adults can dress up too and trick or treat! I'm all about socially accepted adult trick or treating. Yet another reason why Disney is awesome (yup, just letting my Disney nerd flag fly right now). 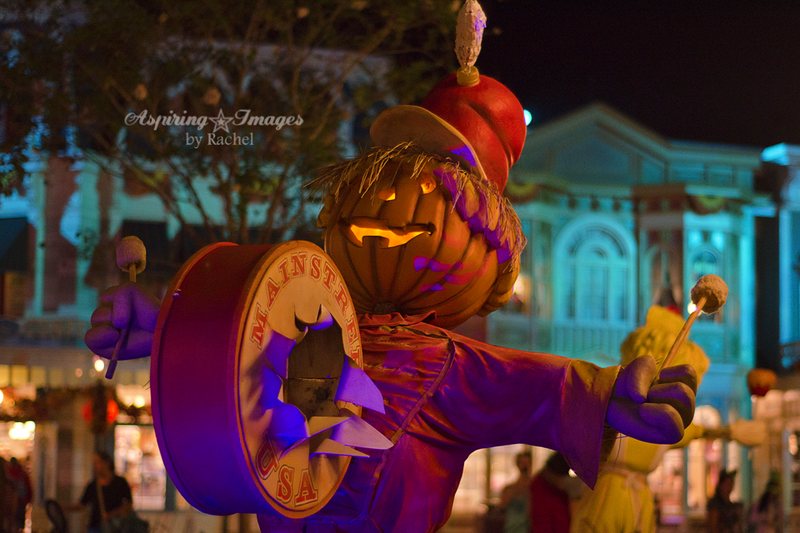 At night, the park gets even more into the Halloween spirit with specialty lighting and Halloween music playing. I truly believe Disney's most magical time in the parks is at night. If you haven't seen the park at night (or only when you're crazy exhausted from hoofing it through the parks all day), then you're missing out. I am such a fan of visiting at night. Can you tell?. ........And here's a bonus set of pictures showing my cousins and I dressed up for Mickey's Not So Scary Halloween Party. 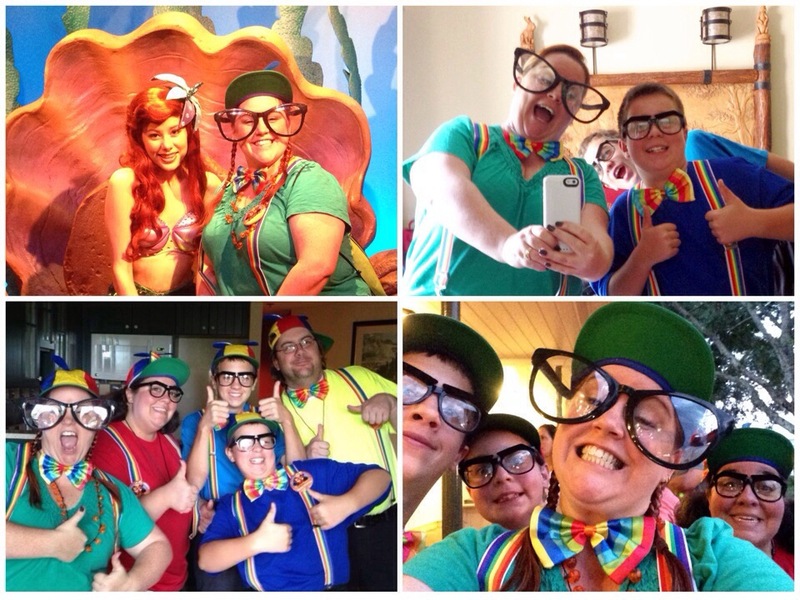 We had a blast coordinating as a group and made lots of people smile and laugh with our colorful nerd costumes. EVERY SINGLE character we met tried to spin the propellers on our hats. Buzz Lightyear did it repeatedly, which cracked me up. It was loads of fun. We have already started throwing around some ideas for next year. FYI, I'm in the green.